LINCOLN, Neb. (AP) – Lawmakers in the deep red state of Nebraska overrode their Republican governor’s veto yesterday and abolished the death penalty, making their state the first conservative state to do so since 1973. 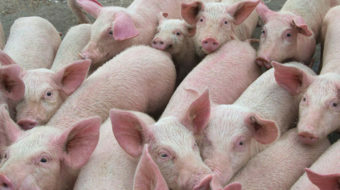 It was clear from an earlier vote that backers of abolition of the penalty in the unicameral legislature had enough votes to override a veto if, as expected, one would be forthcoming. When the veto by Republican Gov. Pete Ricketts came they overrode it by one vote. Ricketts, a supporter of capital punishment, said the vote represented a “dark day” for public safety. 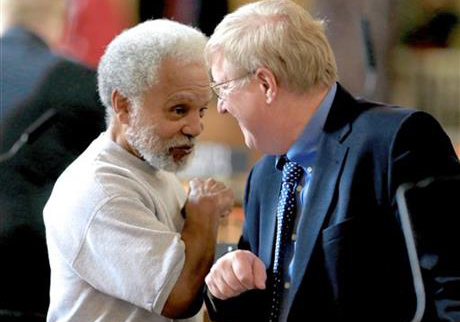 “Nebraska has a chance to step into history – the right side of history – to take a step that will be beneficial toward the advancement of a civilized society,” said Sen. Ernie Chambers of Omaha, an independent who has fought for four decades to end the death penalty. The Nebraska vote marks a shift in the national debate because it was bolstered by conservatives who oppose the death penalty for religious reasons, cast it as a waste of taxpayer money and question whether government can be trusted to manage it. “Law-and-order” conservatives in the United States have traditionally stood among the strongest supporters of the ultimate punishment. Nebraska hasn’t executed a prisoner since 1997, when the electric chair was used. The state has never imposed the punishment under the lethal injection process now required by state law. Some lawmakers had argued that even without actual abolition of the death penalty constant legal challenges would have prevented the state from executing anyone in the future. One argument opponents of the death penalty had been making was that the lethal injection drugs required by law had not been available. To counter that avenue of opposition, however, the governor had announced last week that the state recently spent $54,400 to buy new lethal injection drugs from a company in West Bengal, India. Nebraska lost its ability to carry out the punishment in December 2013, when its supply of one key drug expired. Shortly after the governor’s announcement about the purchase, however, the FDA announced that importation of the drug from India or from any other country, for that matter, was illegal and would not be permitted. Ricketts argued that, unlike other death-penalty states, Nebraska has imposed the punishment judiciously. Nebraska currently has 11 men on death row. “This is a case where the legislature is completely out of touch with the overwhelming majority of Nebraskans that I talk to,” Ricketts said. Ricketts, who is serving his first year in office, argued that the state’s inability to carry out executions was a “management problem” that he was committed to fixing. Maryland was the last state to end capital punishment, in 2013. Three other moderate-to-liberal states have done so in recent years: New Mexico in 2009, Illinois in 2011, Connecticut in 2012. But the last conservative state to do so was North Dakota in 1973. Thirty-two states and the federal government allow capital punishment. Nebraska lawmakers passed a death-penalty repeal bill once before, in 1979, but it was vetoed by then-Gov. Charles Thone and lawmakers didn’t attempt an override. 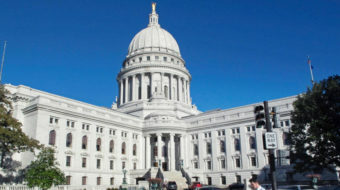 Death penalty supporters tried to prevent the vote with a legislative filibuster, arguing that capital punishment is rarely used in the state but should remain on the books for the most heinous crimes. Republican Sen. Beau McCoy of Omaha pointed to one of the Boston Marathon bombers, Dzhokhar Tsarnaev, who was condemned to die last week for his role in the 2013 attack. “In America we recognize with our justice system that there are appropriate punishments and sentences and consequences for appropriate crimes,” McCoy said. Republican Attorney General Doug Peterson, a death penalty supporter, said some murders “clearly warrant” the use of capital punishment. “Without the ability to utilize the death penalty, the state has weakened its ability to properly administer appropriate justice,” he said. The vote was a milestone for Miriam Thimm Kelle, who started lobbying Nebraska lawmakers to abolish the death penalty a decade ago. Her brother, James Thimm, was tortured and killed on a Nebraska farm in 1985 by a man who is still awaiting execution because of repeated legal challenges. Kelle said she hopes repealing the death penalty will put the issue to rest and encourage the public to forget about the man who murdered her brother.